in honor of their VIP Redwood Passholders. the 1800 redwood trees in Usal Redwood Forest. Where? Find out all about it here! Cali-Roots: Over 1800 trees will be planted because of this partnership. What type of carbon offset and benefits will come from planting those trees? 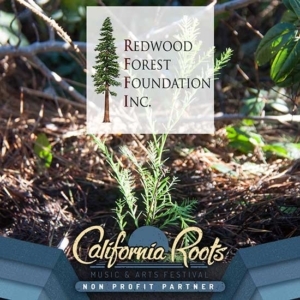 RFFI: We have already planted 900 of these redwood seedlings that were carefully nurtured from locally gathered seeds. 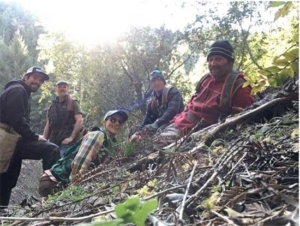 They were planted in a remote roadless area of our Usal Redwood Forest. This is part of a massive watershed restoration in the Standley Creek watershed, a major salmon-bearing tributary of the Eel River. We removed abandoned roads that were leaching tons of sediment into streams and uncovered long buried tributaries. The other 900 redwoods will be planted this winter in honor of Cali-Roots and the Redwood Passholders in areas that were burned in the tragic wildfires in northern California. Visit our Facebook page to see planting in action. RFFI: Harder to do than last year as main planting is remote. We post photos to Facebook and our webpage periodically. RFFI will hold an event each year to celebrate and make prior years’ planting available to Cali-Roots Redwood Passholders. Please ask your Redwood Passholders to contact Lin Barrett at morgan@rffi.org for the details. First, Volunteer! We need all kinds of help. We have local volunteers and those who help us from a distance. Visit our website and sign up to volunteer.